So once again, all too soon, summer exam season has crept up on us. We’ve all been there, scribbling away furiously, with one eye on the clock (which seems to be ticking away at twice its normal speed) and the other on our question papers, making sure we’ve answered everything as clearly and in as much detail as possible. 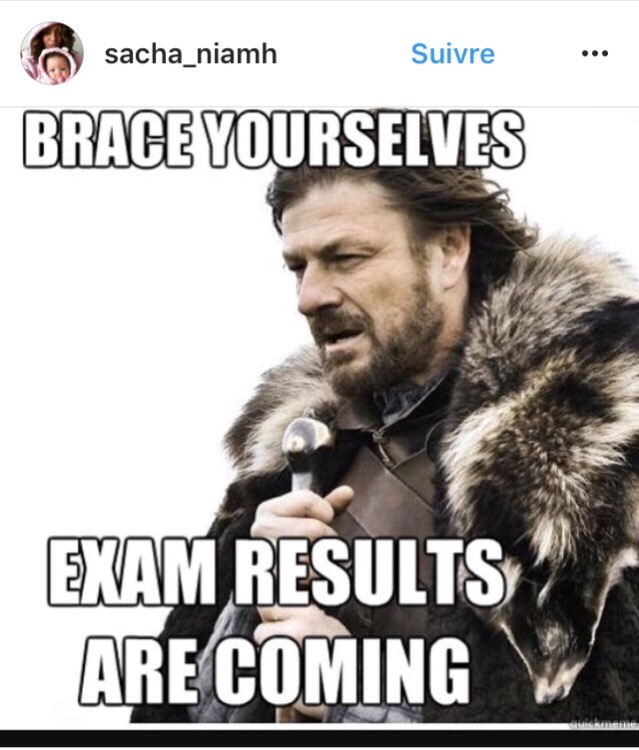 I’ve definitely felt awful exam nerves before, as I’m sure many of you may have as well! So without further ado – our Word of the Week, which is ‘avoir le trac’. To have exam nerves, or to have butterflies in your stomach when you’re nervous. It can also be used to refer to having stage fright. French language site L’Internaute claims that ‘avoir le trac’ only started becoming used from the middle of the nineteenth century onwards, and that the origins of the expression are unclear. However, French Wiktionary suggests two other theories here to explain the root of the expression. One possibility is that the word ‘trac’ either comes from the Romany word ‘trach’, which means ‘fear’ or ‘anxiety’, or the Czech word ‘strach’, which also means ‘fear’. Être traqueur/être traqueuse = to be a nervous wreck. Être à bout de nerfs = to be on edge/very nervous. Être angoissé/être angoissée = to be anxious. Avoir peur = to be scared. Être stressé/être stressée = to be stressed.